You have conducted the design, surveys and field tests for your app you have created with great effort and cost. You have created an app suitable to demand in the market, and appealing to your target audience, and finally got it published in the app stores. Now it is time to promote your app. If you are going to prefer to just wait without doing anything, let us share a few statistics from the app stores with you; 50 percent of iOS apps and 64 percent of Android apps remain below 500$ in monthly revenues. How are you going to promote your mobile app to increase its number of downloads and its monthly earnings? Here are some tips that can help you with that. Bloggers may help you with reaching the numbers you aim for. Especially with the blogs with a high number of followers and a high rate of being read, a positive mention about your app can raise your app’s number of downloads in a short time. Also, with a continued collaboration with the bloggers, they can also help with promotions, campaigns, and other such marketing tools you may use in future for the promotion of your app. Just like in search engines, search queries by users as highly important in the app stores too. It is a good idea to define what words would users be finding your app with. You can make use of keywords that are directly relevant to app’s subject. Ensuring your app getting displayed higher in search results thanks to ASO can help you with increasing your app’s downloads. Creating a website to promote your app can be a good idea. You do not need an advanced page or a design that will cost large amounts of money. Using a landing page with a single screen where you describe your app’s intended use, and the conveniences it will bring in an interesting way would be enough. Today, it is highly important to keep advertising costs low for the apps that are sold for a very small price or even provided for free. In some cases, paying for advertisement on social media sites can bring more harm than good. Instead of using paid ads on social media, you can use your existing social media accounts to create interesting pages for your followers, and therefore promote your app with a low cost in this way. For your app to create some revenue, its usefulness and satisfying of demands alone may not be sufficient. High numbers of downloads and popularity that comes after a good marketing are also very important. Using these tips, you can promote your mobile app without needing big marketing budgets. 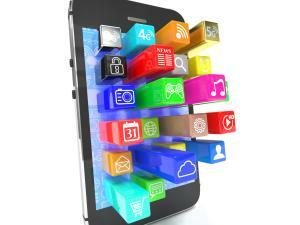 You can benefit from MobiRoller’s experience and advantages regarding all things about the mobile apps. Create your free MobiRoller account now to see the advantages that the mobile world will provide you with.